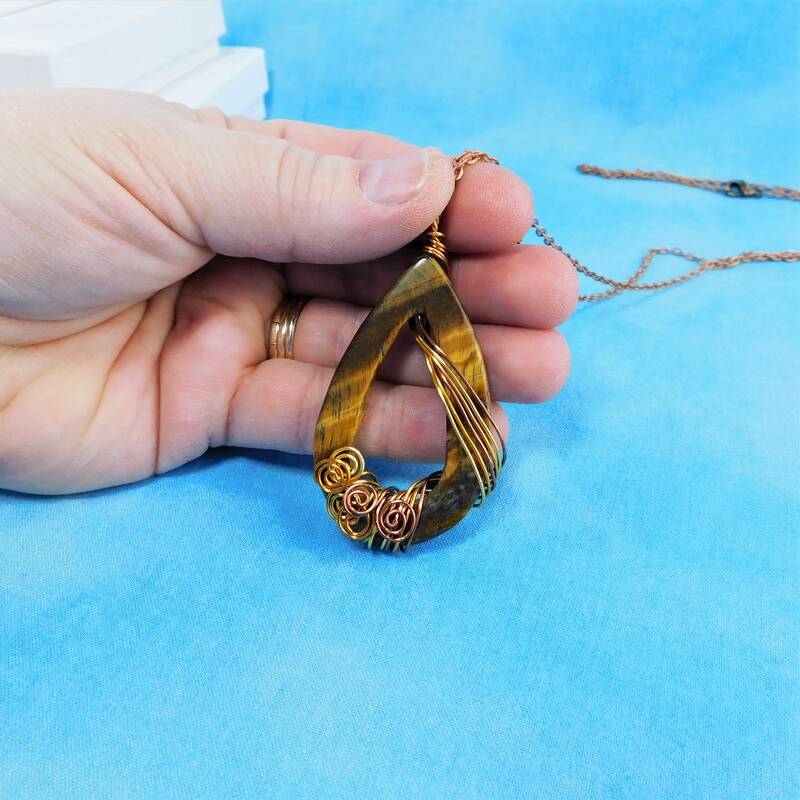 A Tiger eye gemstone loop is artistically wire wrapped with three shades of non tarnish copper wire. 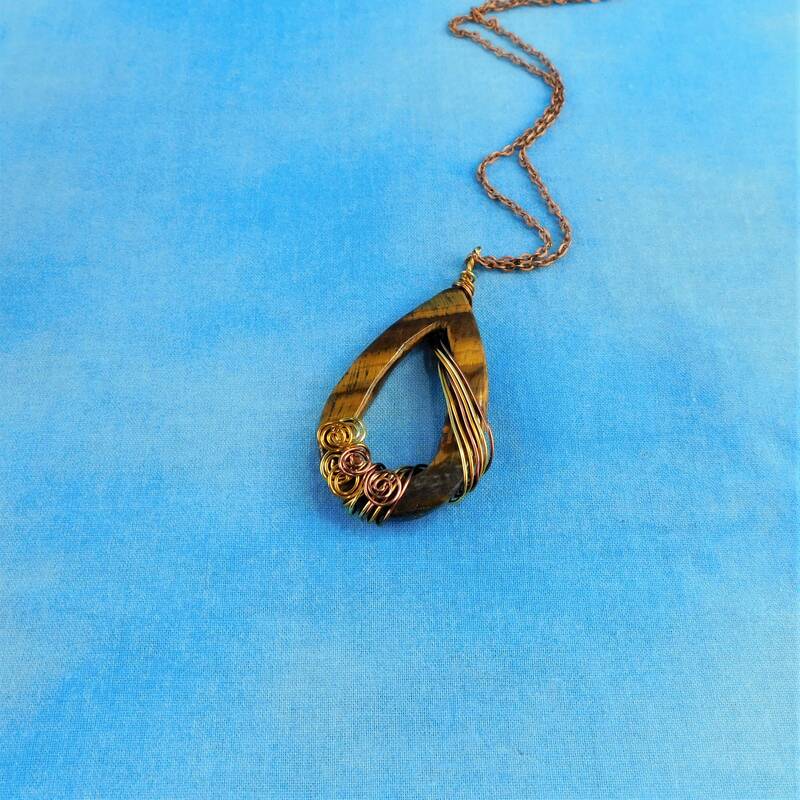 The deep brown colors within the stone and the rustic colors of the wire, give this beautiful necklace a vintage feel. 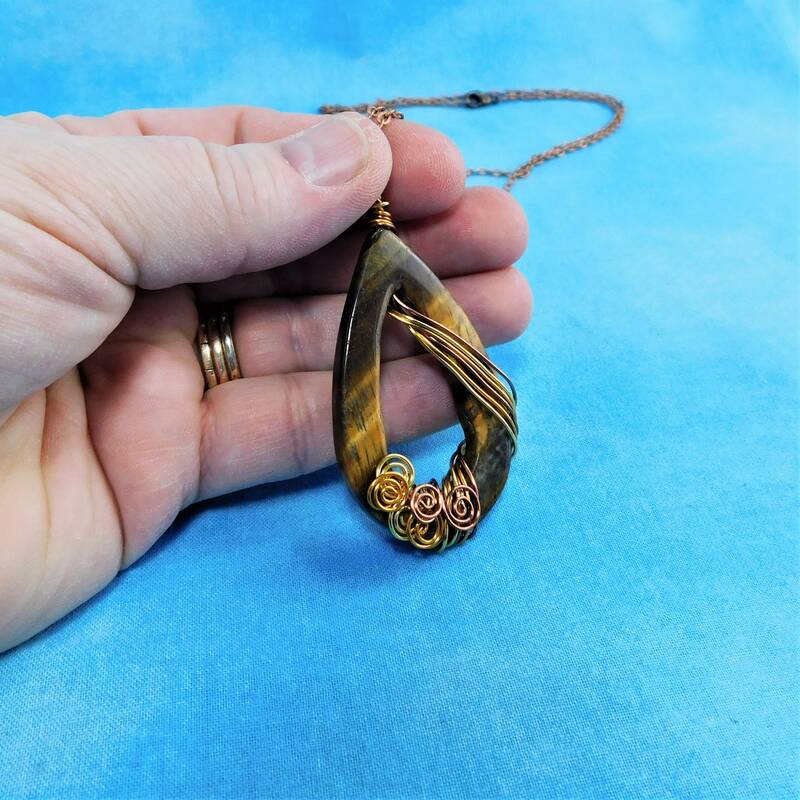 Tiger Eye is an interesting gemstone that coordinates with many colors and styles. 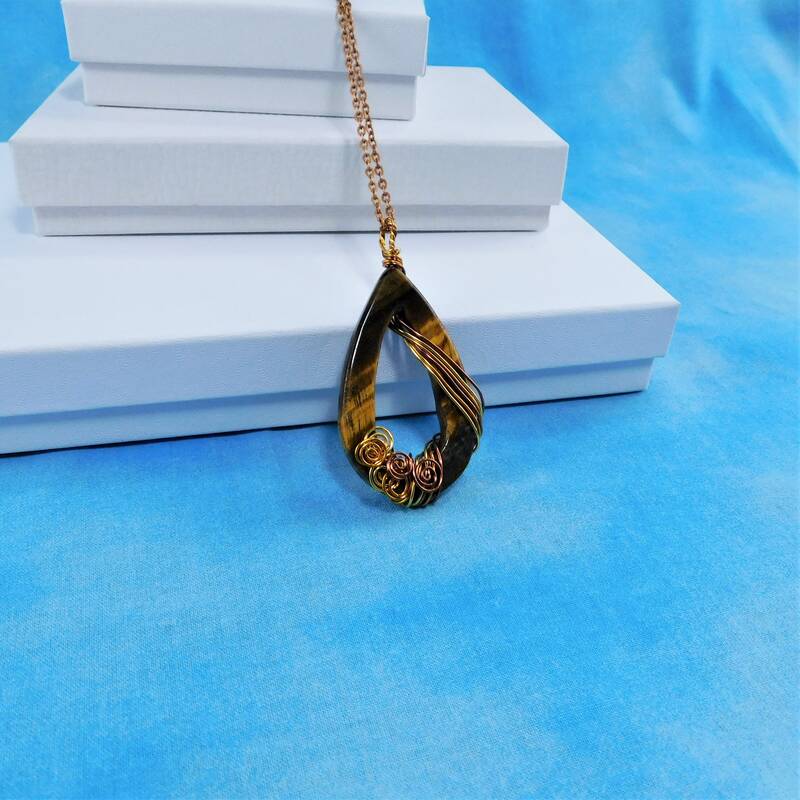 This pendant is an eye catching focal piece that will be a conversation starter with any outfit. 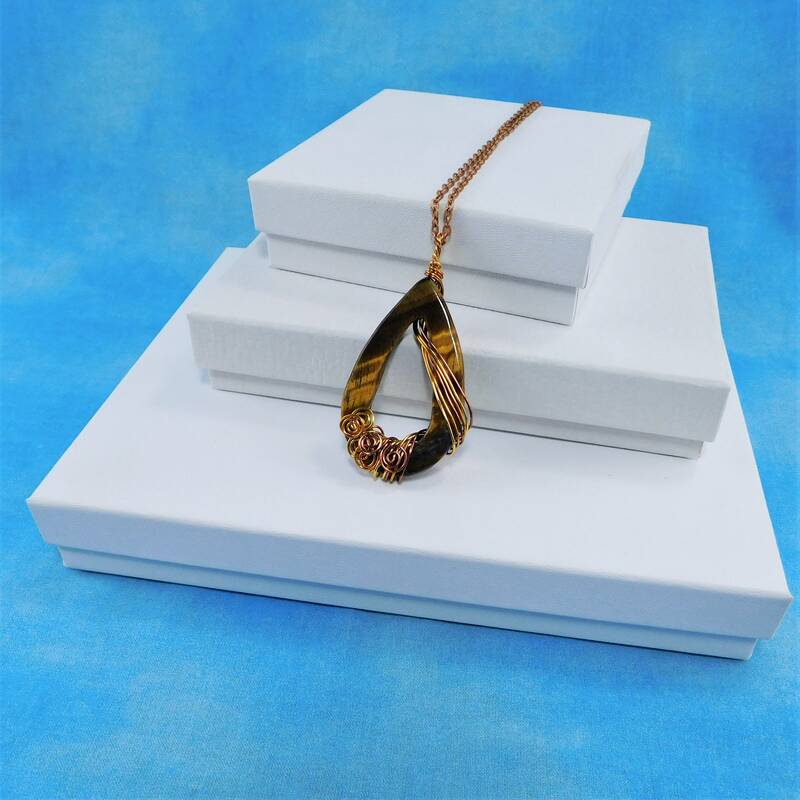 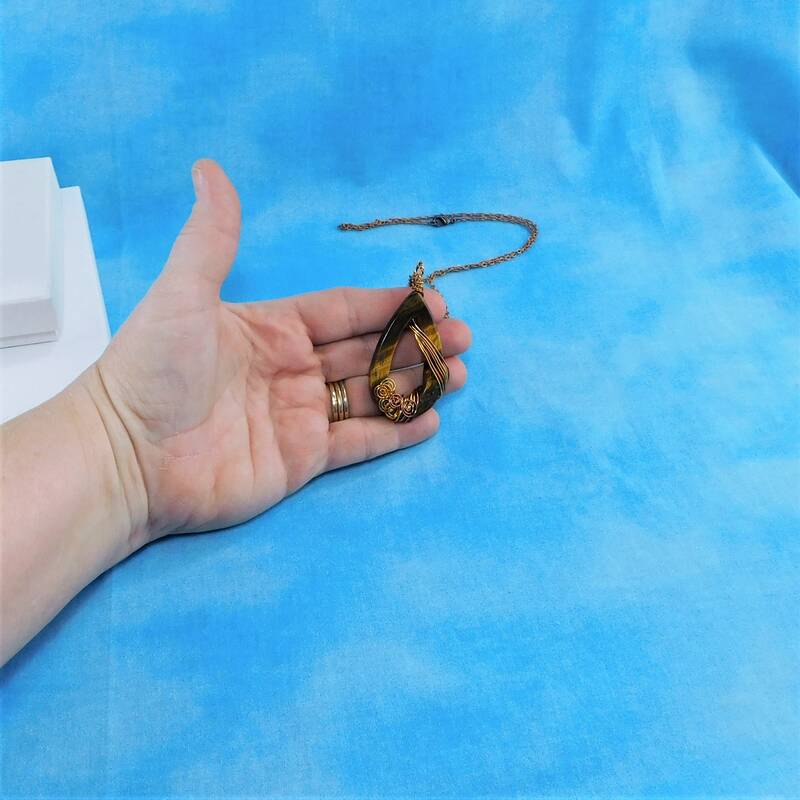 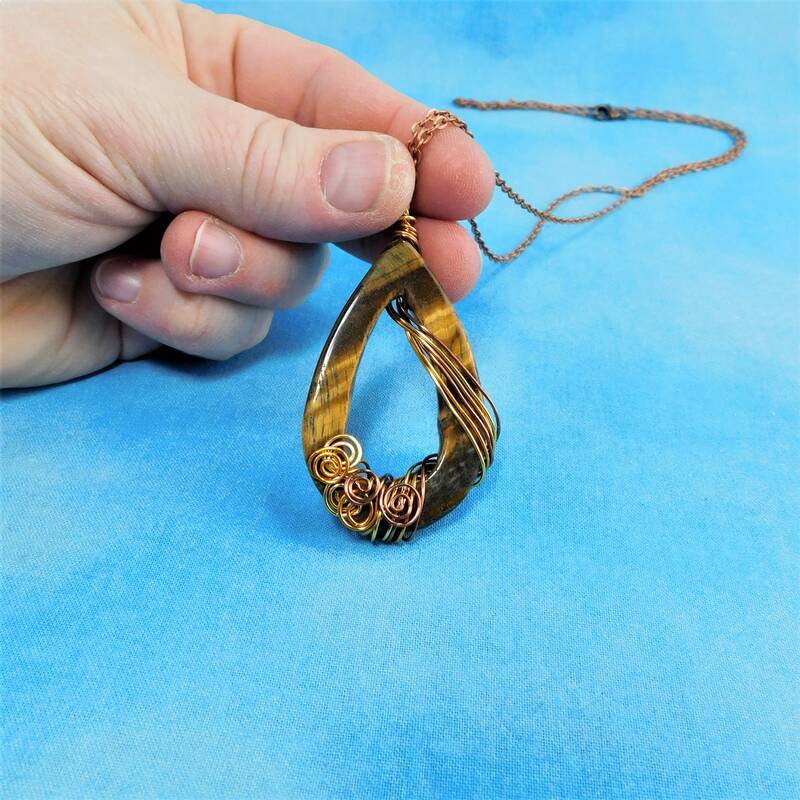 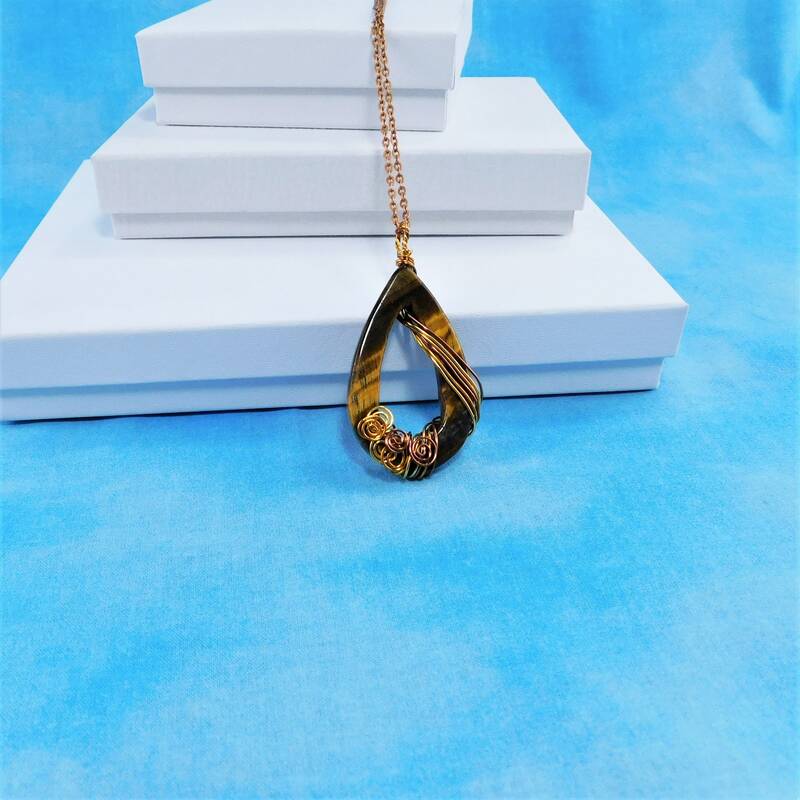 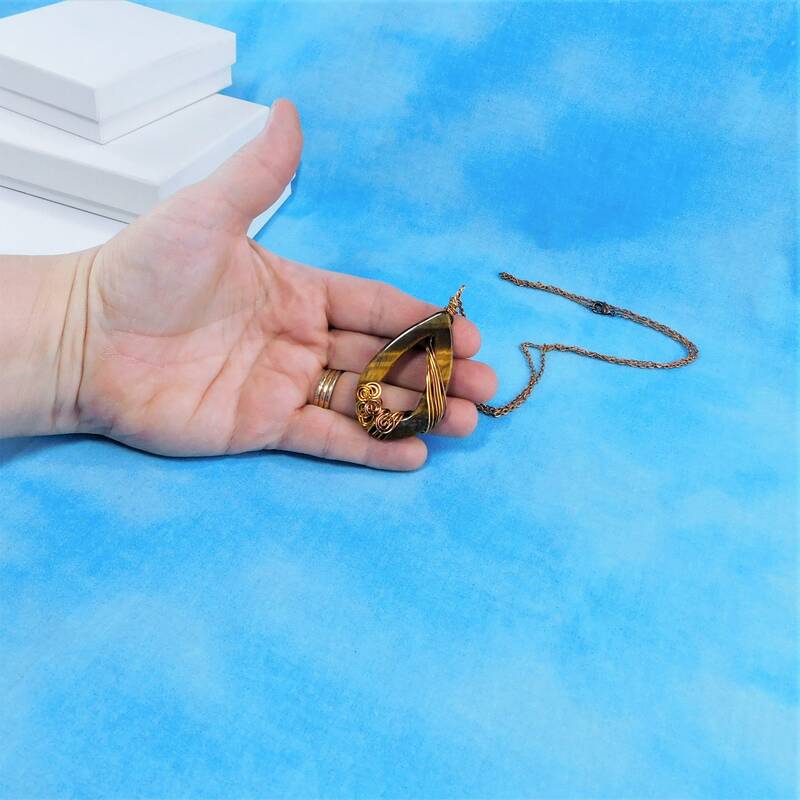 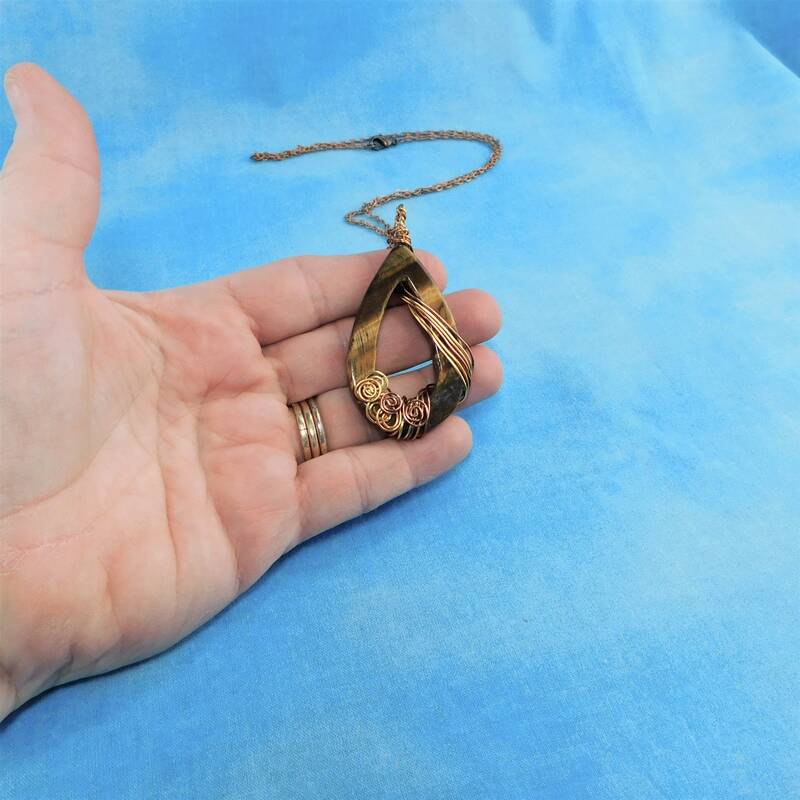 The pendant measures 2 inches by 1 1/4 inches and comes with a FREE coordinating chain with lobster claw clasp, measured to your preferred length.